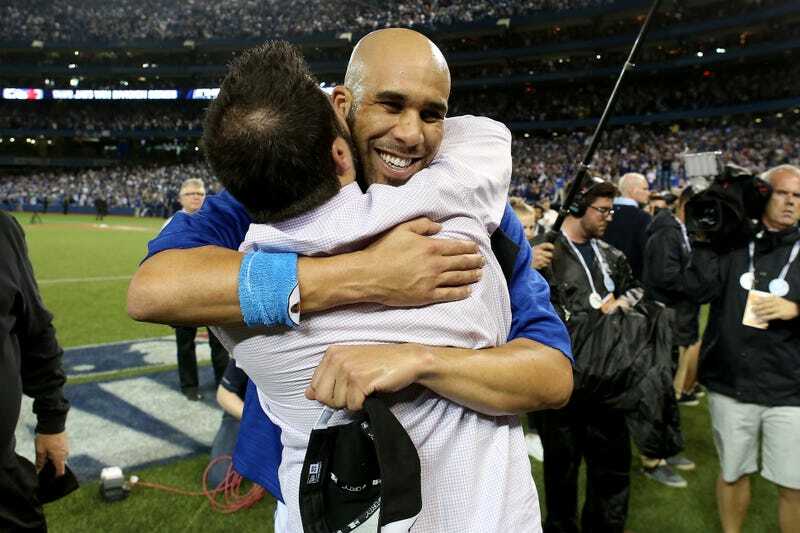 Should The Blue Jays Have Tried To Keep David Price? The Red Sox signed David Price to a massive seven-year, $217 million contract. We soon learned that the Cardinals were in second, more than $30 million behind. And the Blue Jays, who said all the right things about hoping to keep their lefty ace who, acquired at the trade deadline, led the team to a furious surge and a deep playoff run? They didn’t make him an offer. TSN’s Rick Westhead revealed yesterday that Toronto never offered Price a contract offer, which isn’t necessarily a huge surprise: they may have gotten an informal sense of what it would have taken to get Price to stay, and decided they were unwilling to pay it. Giving a pitcher $31M a year through his age-37 season isn’t something most baseball teams would do. But now comes a report from Fox Sports that says things might have gone slightly differently if former GM Alex Anthopoulos, the architect of much of this Blue Jays club, had still been in charge. Jon Paul Morosi reports that Anthopoulos, who left the team after six years upon losing a power struggle with new team president Mark Shapiro for final say over personnel moves, had begun laying the groundwork to make Price an offer soon after he arrived—and before the hiring of Shapiro. Would an Anthopoulos-run Jays have been able to match the Red Sox’s offer? Maybe not. But it appears they at least would have tried, which points to the real reason for Anthopoulos’s exit, and a potential philosophy shift back to the moderate spending enforced by Rogers before Anthopoulos constructed a team good enough to enter win-now mode, however briefly. The Jays entered 2015 with a payroll of around $122 million, 10th-highest in baseball, and only increased it with the acquisitions of Price and Troy Tulowitzki. That’s not how Rogers has typically done business—Toronto will spend, but will generally spread it around rather than chasing the elite free agents. Shapiro’s philosophy on Price exemplifies that: Shapiro reportedly preferred to use the money they would have spent on Price on multiple starters, chasing depth instead of an ace. And sure enough, the Jays signed J.A. Happ and Marco Estrada traded for Jesse Chavez, who will make roughly as much in 2016 combined as Price will. With Marcus Stroman, who the Jays believe will be a No. 1 guy but may not be there yet, and a generally dependable R.A. Dickey, that’s a fine rotation. Certainly one good enough to win with the Blue Jays’ offense—which is another valid reason not to spend on Price. After 2016, both Jose Bautista and Edwin Encarnacion will be free agents, and Josh Donaldson will enter his first year of arbitration. Toronto will want to lock up at least two of those guys, and they won’t come cheap. If the choice was between one of them and Price, it’s hard to fault the Jays. Of course, some very few cash-flush teams don’t have to make those choices. The Red Sox desperately wanted Price. (So did the Blue Jays.) The Red Sox know it takes big splashes to stay afloat in the usually competitive AL East. (So do the Blue Jays.) The Red Sox’s ownership gave the green light to spend whatever it took to get a rare free-agent frontline starter. (The Blue Jays’ did not, and that’s the only difference here.) They’re two different philosophies, and neither is obviously or necessarily correct, or universally applicable. Price may very well be worth it for Boston, which doesn’t have to worry about the opportunity cost, like Toronto does. It’s entirely possible this was the right move for both teams.